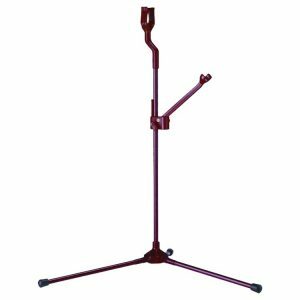 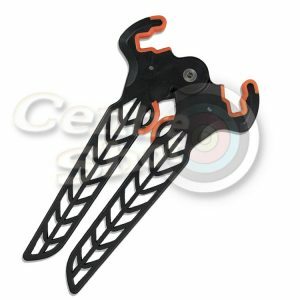 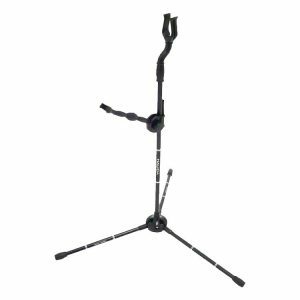 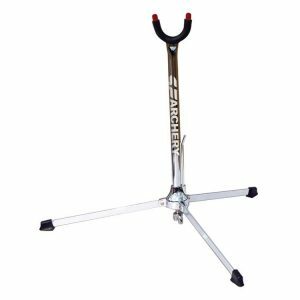 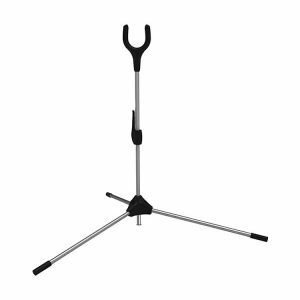 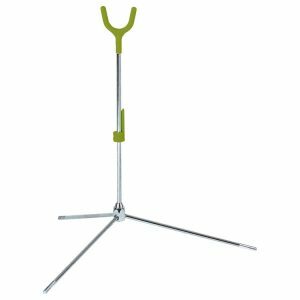 Choose from a selection of bow stands to rest your bow on and hold it off the ground between shooting ends. 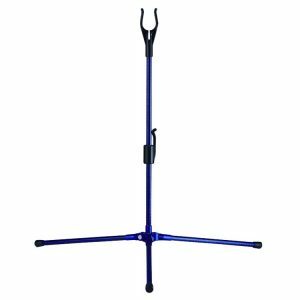 Recurve bow stands either hold the bow horizontal with the stabiliser pointing upwards or at an angle with it pointing diagonally towards the ground, which can be useful when tuning/checking your bow. 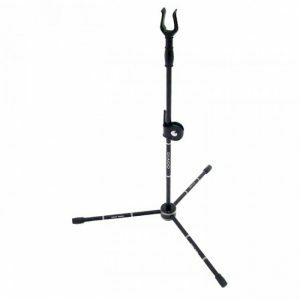 Compound bow stands are smaller and work by forming a tripod with the stand’s two legs and the bow’s stabiliser, holding the bow off the ground.